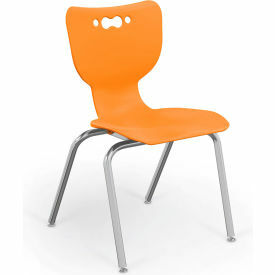 Flexible and ergonomically shaped seat with lumbar support for easy position changes, eliminating stagnant environments. Smooth reinforced back allows for flex action without sharp ridges. With heavy gauge chrome coated steel base.